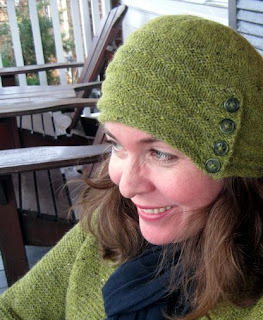 The Copenhagen Hat, from Interweave Knits 2011 Accessories issue, is a simple, portable knit from luxurious alpaca-blend yarn. 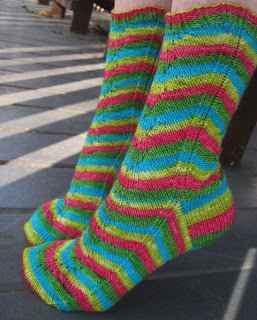 PuddleJumpers is the product of months and months of mobile sock knitting plus the desire for a simple, go-anywhere project that is easy to follow and plays up self-striping sock yarn. Because I have a whole lotta self-striping sock yarn. 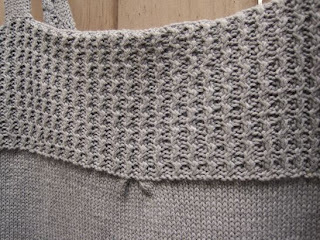 This swingy linen-blend smock from Interweave Knits' Summer 2011 issue has a pleat at the hem and this pretty twisted stitch at the bodice. 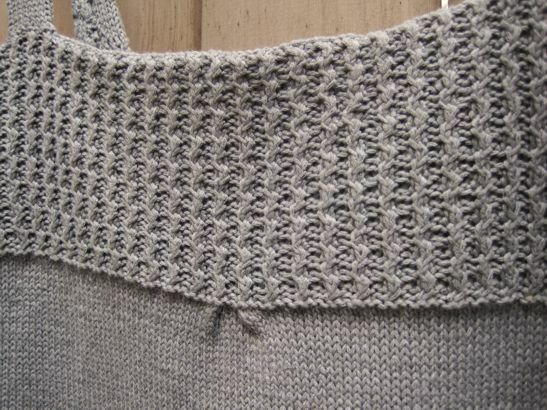 The bodice is self-lined so you can wear it on its own or with a T underneath. 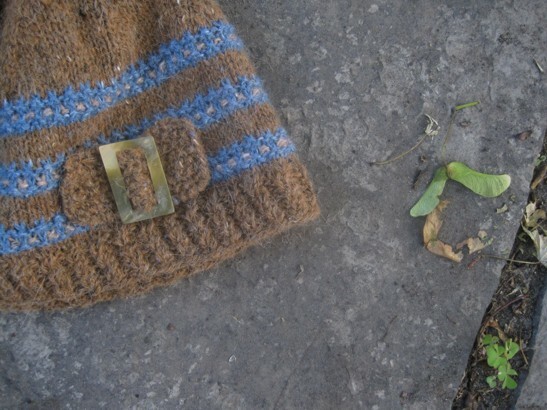 This unisex hat for Interweave Knits' Holiday Gifts 2010 is knit flat, so the textured stripes are a cinch to do and line up perfectly at the seam. 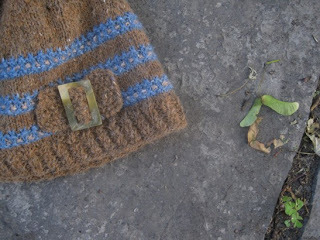 I added a buckle to mine to soften up its look. 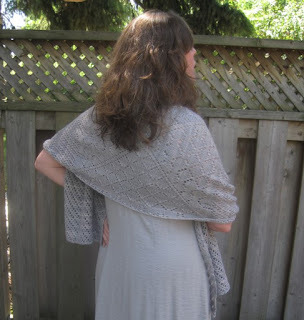 This silk/merino shawl appeared in Interweave Knits' Holiday Gifts 2010. It's an incredibly portable knit and faster than you'd expect!